This cheat’s Mushroom Risotto is perfect for those who struggle to get perfect, creamy consistency? 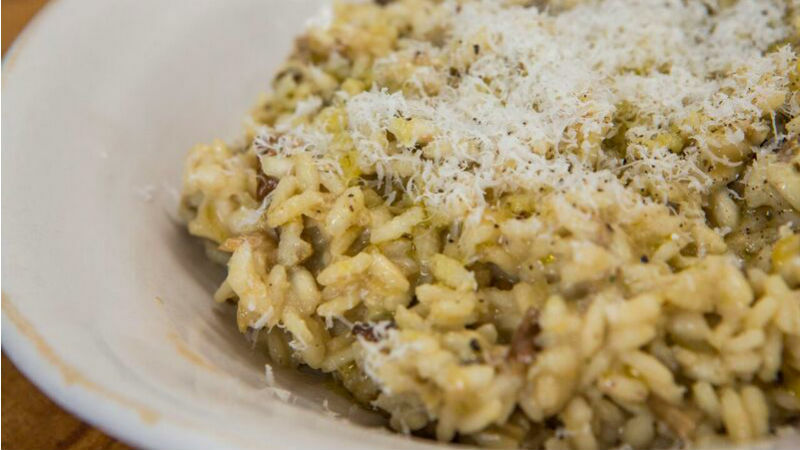 This risotto recipe is the solution for a quick, easy and tasty result. PUT the rice in large pan of salted water and cook for 15 mins – there is no need to wait for water to boil before adding the rice. Check it is cooked through but with a slight bite. SOAK the porcini in a 400ml bowl of boiling water for 10 mins. FRY the onion in oil for 4 mins, until soft, and remove from heat. DRAIN the porcini and roughly chop reserving the liquid for later. ADD a crumbled stock cube, mushrooms and pepperoncino to the onions. STIR in the porcini soaking liquid, keeping back the last few gritty spoonfuls. STIR in the parmesan and crème fraiche, and season with salt and pepper.